ESET has received a series of recent business awards that reaffirm its position as the go-to partner for protecting businesses online. Our security solutions for enterprise have been given highest score by industry leading software security testers. Through extensive real world scenarios, these certifications show ESET’s ability to detect threats and neutralise them without affecting your business or slowing down your systems. It’s never been more important to protect your business with the highest level of security. In the UK, the government have introduced fines of £17m if companies do not have the right level of protection. And extremely specialised malware designed to bring down businesses, like Industroyer which targeted energy companies, are becoming more complex. ESET Endpoint Security passed every test SE Labs gave with flying colors. SE Labs’s Enterprise Endpoint Protection Q3 2017 test analyzed a range of products from market leaders, and each was exposed to the same mixture of targeted attacks using well established techniques to ensure their tests are as realistic as possible. Achieving 100% for Protection Accuracy, Legitimate Accuracy and Total Accuracy, ESET Security solution was praised for detecting, blocking, neutralising and remediating threats without a breach. As a result, ESET landed another AAA award in the Enterprise Endpoint Protection test for keeping businesses protected without disruption. 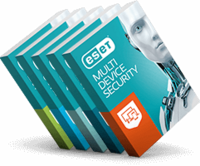 Businesses of all sizes can benefit from ESET Remote Administrator. It allows for tigher security across the company and means admins can see and inspect programs and their actions to determine whether or not to allow the process to run. AV-Comparatives’ Business Security Report October 2017 praised ESET Endpoint Security solutions for its design and layout which made everyday tasks easy to find. The dashboard gives an easy overview of the network, and detected threats appear in a clear and familiar way. To learn more about the latest ESET products for business, please visit https://www.eset.com/int/.